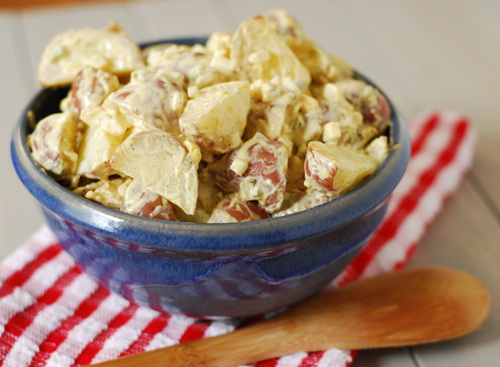 Potato salad is a standard barbecue side dish and most people have a preferred recipe for it. 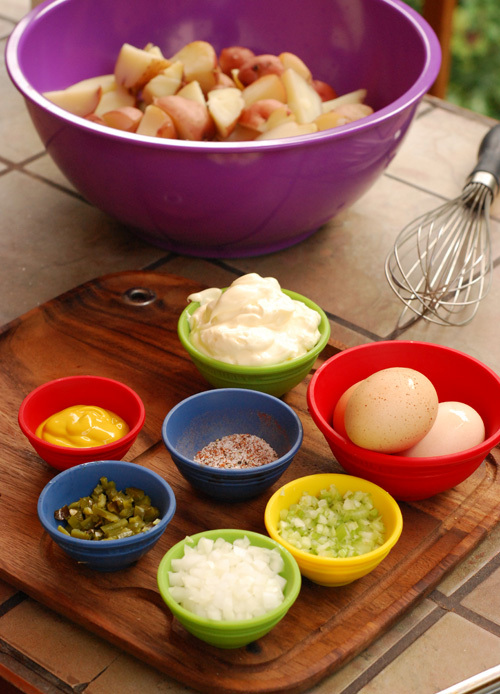 Here is my "basic" recipe for when I want old fashioned potato salad. It works as a warm or cold salad. 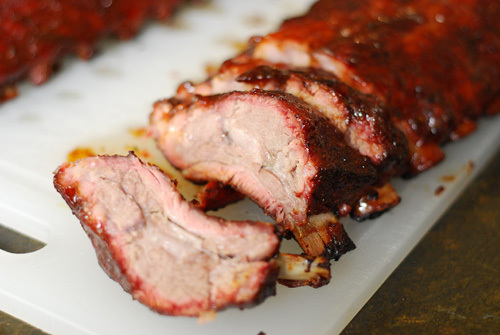 I made this yesterday because I was smoking some ribs as a surprise for Alexis and her co-workers for dinner at work. 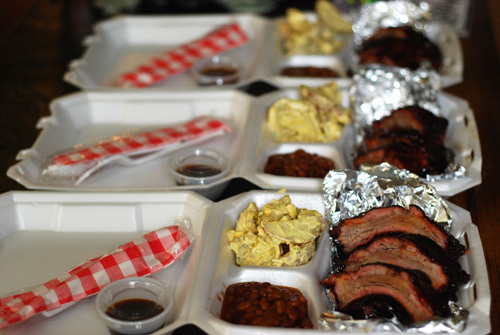 Trevor and I packed the "to-go" boxes and dropped them off at the store just in time for dinner. 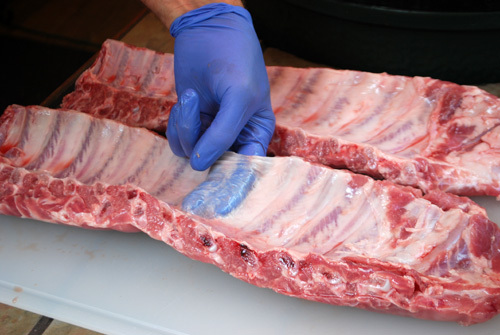 I've done posts on ribs several times so I'll just give the basics for my bbq nerd friends. 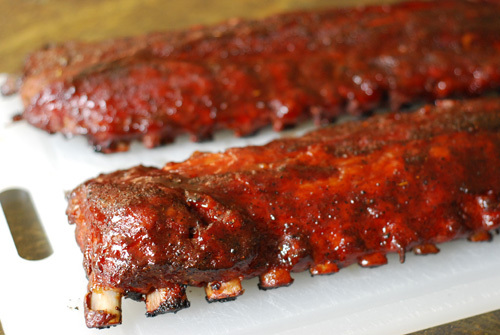 Times/Temps: 270f because I was trying to get them done quick. 2 hr 45 min bare, 45 min foiled, 45-60 min bare. I lost track of the time on the second "naked" stage but it was definitely at least 45 minutes and not more than an hour. Boil the potatoes until fork tender. Allow to cool. 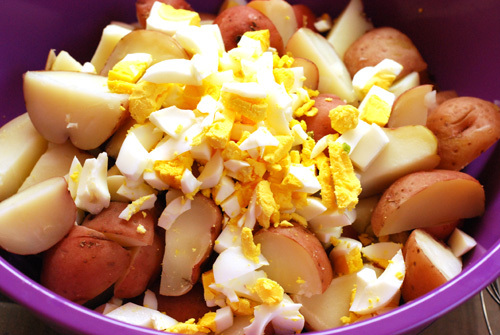 Add the eggs to the potatoes in a large bowl. Mix the rest of the ingredients together for the dressing. Pour over the potatoes and egg, toss to coat. 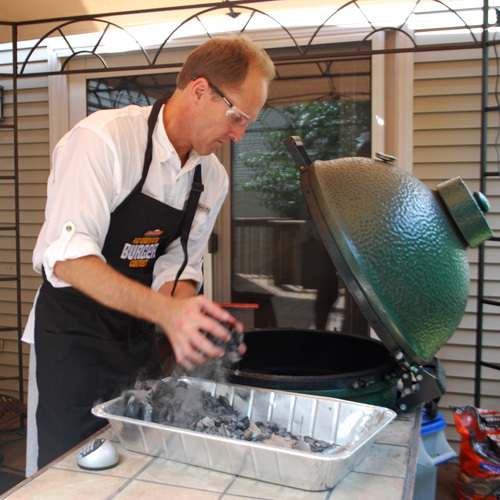 Setting up the Egg for smoking. I put new coal in, the wood, and now putting the used coal back in on top. 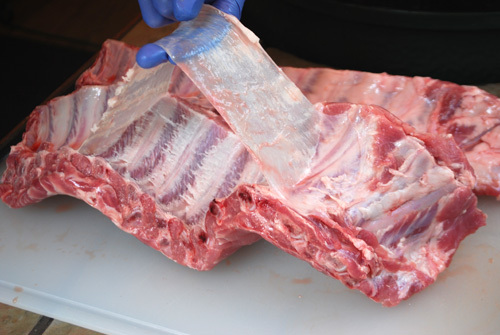 To take the membrane off, I work a finger or two under the membrane across the middle. 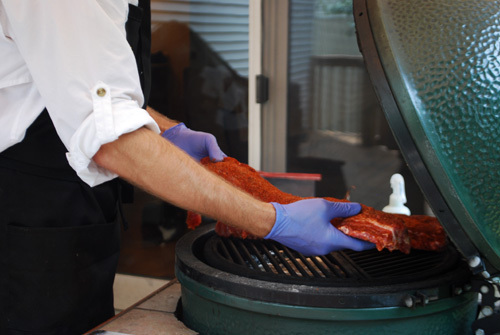 Then just pull it straight up and off in one piece. 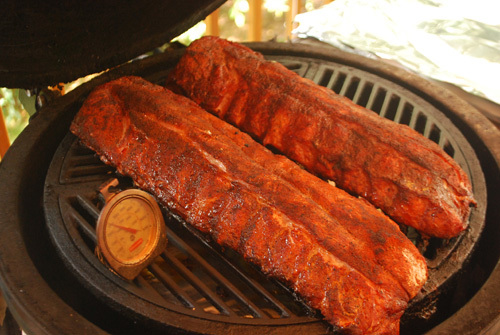 Ribs rubbed and going on. Just about ready for foiling. These silicone pinch bowls that my sister gave me rock. One of the most used things in my kitchen. Not everyone likes eggs in their potato salad. I do. Sue me. 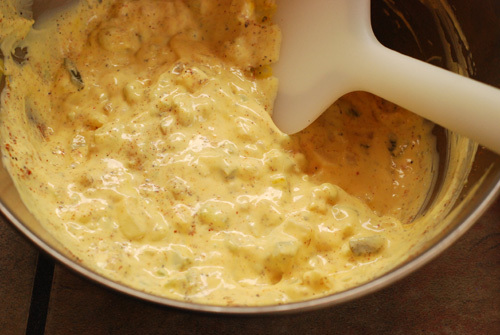 Taste the dressing for seasoning before mixing into the potatoes. It is easier to adjust at this point. 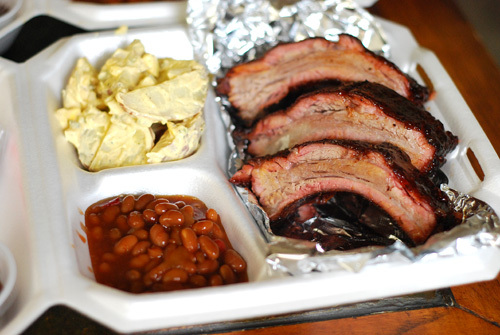 Ribs, potato salad, and Bush's Grillin' Beans Southern Pit Barbecue flavor. The ladies hated their food. Just kidding, they loved it. [Standard Disclaimer] I have a business relationship with Bush Beans; however, this is not a sponsored post.